Every region has a different quality of water. While the water in your house might not be the best, your body has acclimated to it. If you start drinking water with different bacteria, you could easily wind up feeling the misery known as Montezuma’s Revenge. When heading out in your RV, you may find a huge difference between the water you have at home and the water at the campground. ulfur. It costs less than $25 dollars to buy an in-line water filter for your camper. One filter typically lasts a full season, and it will work like the water filter you have at home. It’s a small price to pay for the comfort of clean water. If you are out hiking while on a camping trip, then you might be tempted to drink directly from a cool mountain stream. Unfortunately, you have no way of knowing if an animal or person recently relieved themselves upstream from you. Drinking from non-treated water sources is always risky, so you should stick to the filtered water available in your campground. 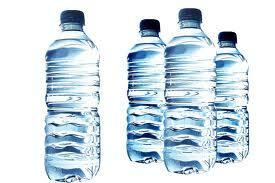 The safest choice is to take bottled water along with you for drinking. Convenient and safe, you can take small bottles with you on hikes and use larger bottles to drink from at the campsite. It will take up a little more space in the camper, but it’s worth it to avoid illness. 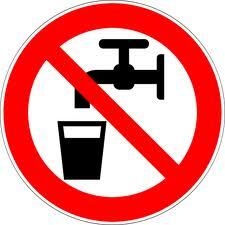 Potable water doesn’t remain safe for consumption very long. Sitting in your RV tanks, the chlorine will gradually evaporate and you will be left with a traveling petri dish. While this water source might be fine for running the commode, you don’t want to drink from it. If you want to carry potable water in your tank, then you will have to maintain it, disinfect it and filter it appropriately. You might decide it’s simpler to carry bottled water with you. When you head out with your motorhome or trailer, you must consider the available water supply. An in-line filter is an affordable and easy way to filter water available at the campground, or you can take bottled water. Never drink from untreated sources in the wild, and do not trust the water in your tanks unless you have taken steps to treat it.